Periodontal disease or gum disease causes swollen gums, bleeding, and irritation. The more severe cases can cause damaged bone and tissue around the teeth, receding gums, and tooth loss. It is the sixth most prevalent chronic condition in the world affecting one in every two adults in the United States. Gum disease has been shown to be a direct risk factor for many diseases and illnesses. The good news is that it can be prevented. 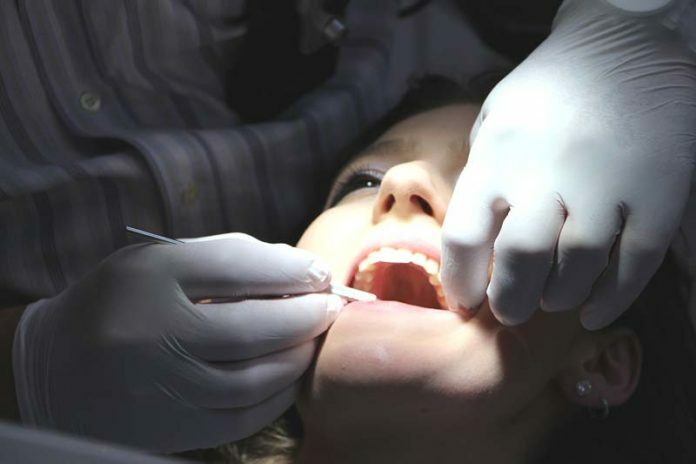 Regular teeth cleaning helps prevent gum disease such as gingivitis, says Precision dentistry. 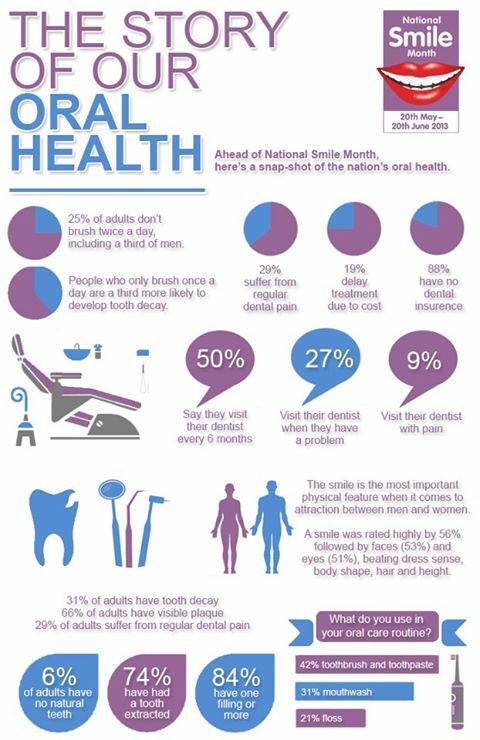 Many Periodontal conditions are preventable and treatable by getting regular checkups and cleanings. Most people recognize the usual more common causes of cancer like smoking, but many might not know that oral health has a connection to breast cancer. Breast cancer research continues to advance while it focuses on prevention and awareness. 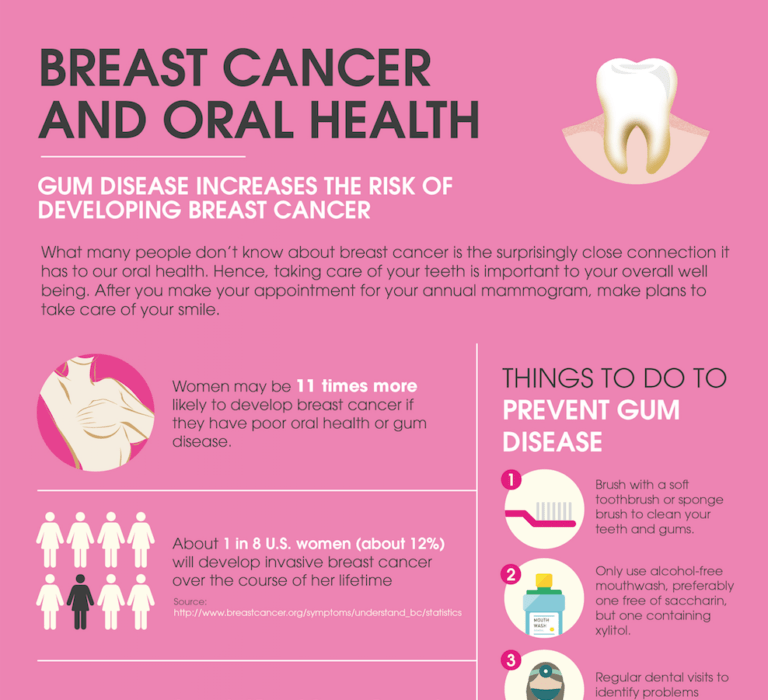 One of the less well-known dimensions of breast cancer is its link to gum disease. According to a study at the University of Buffalo, postmenopausal women with gum disease have a 14% higher risk of developing breast cancer, especially among smokers. Researchers believe that the increased risk of breast cancer is partly due to the inflammation that gum disease can cause. The inflammation allows viruses and bacteria into the bloodstream. This can suppress the body’s immune system because it makes the body work harder to fight off other threats. If your gums are inflamed due to periodontal disease, that same bacteria can travel to the arteries. If heart disease is not diagnosed or treated, this bacteria can cause atherosclerosis, also known as hardening of the arteries. Atherosclerosis, in turn, causes plaque to build-up on the artery walls which get thicker and can decrease or block blood flow. Decreased or blocked blood flow increases your risk of a stroke or heart attack. Another very serious and often fatal condition called Endocarditis might develop. This condition is the result of an infection of the lining of the heart. Inflammation caused by periodontal disease can have a negative impact on pregnancy. Many studies have shown that there is a correlation between low-birth-weight babies and mothers who have periodontal disease. Low birth-weight babies can suffer from physical issues because they were not given sufficient time to fully develop when they are born too early. For example, a baby’s lungs are not fully developed until they have grown to full term. It is also important to note that a pregnant woman is more likely to develop oral infections like gum disease due to hormonal changes in her body. Because oral health problems can cause harm to both the mother and the baby, it is very important that expectant mothers practice good oral hygiene and get medical attention immediately should she notice any signs of infection. Not only does periodontal disease make it more difficult to control diabetes and possibly make your symptoms worse, having diabetes puts you at a higher risk of getting periodontal disease because it reduces your body’s resistance to infection. Taking care of your oral health if you have diabetes is especially important to prevent complications with the disease. The mouth is a very vascular area and because of this, bacteria can easily get to other parts of your body, including your lungs. The Journal of Periodontology suggests that gum disease can cause lung infections, including acute bronchitis, pneumonia, and COPD. It might be hard to understand why proper dental hygiene is important for your respiratory system. If you think about it in terms of breathing in bacteria on a constant basis it makes more sense. Bacteria in your mouth can come from swollen gums or infections. Make sure you have regular dental check-ups to avoid periodontal disease and its effect on your respiratory system. Taking care of your oral health is one of the best ways to prevent serious health issues. Make sure to have regular check-ups, brush and floss your teeth regularly, and visit your dentist if you see any signs of an infection or gum disease. How does dental health affect your heart health? Previous articleCan A Spouse Spying App Solve Trust Issues in Relationship?